The Male Red-winged Blackbird is very gregarious with a very loud, distinctive and liquid song. In the spring the male shows off his scarlet epaulets that at other times of the year are visible only as a yellow strip. Because they are so common, their dramatic beauty and interesting, entertaining behaviors are often overlooked. 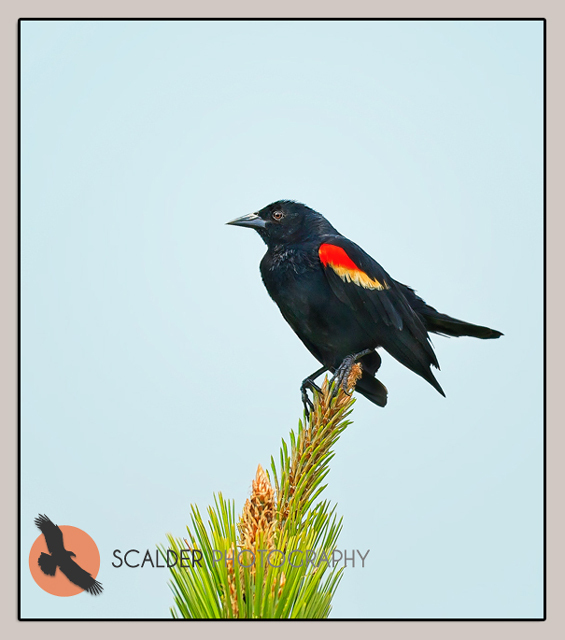 The Red-winged Blackbird is one of the most numerous land birds in North America. They travel in groups but despite their large number and constant activity their rapid, brief erratic flights make capturing an image very difficult. This entry was posted on Monday, April 16th, 2012 at 12:43 pm. 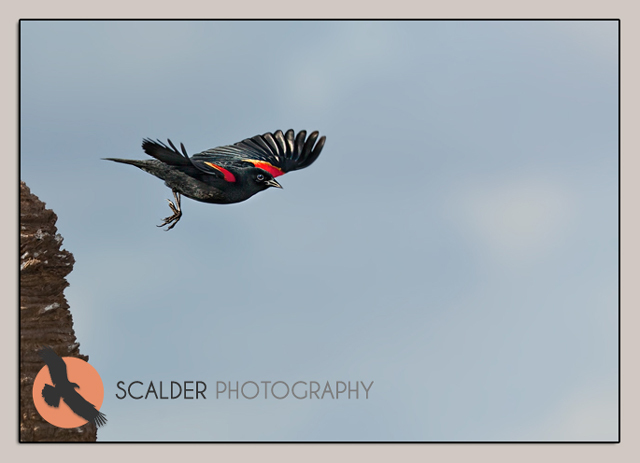 It is filed under Animals / Wildlife, HOMEPAGE MAIN PICTURES, Nature, New Images and tagged with bird behavior, birds, blackbird, male red-winged blackbird, male red-winged blackbird in flight, scalderphotography. You can follow any responses to this entry through the RSS 2.0 feed.